Well, they’ve done it. A team from the National Aerospace Laboratory in the Netherlands has managed to solve all the aviation world’s problems with a single stroke! Air pollution, noise complaints, weather constraints, airspace issues — you name it, they’ve fixed it. The answer? Circular runways. Or, as the team behind it prefers to call it, “The Endless Runway”. Over the past month or so, I’ve been deluged with emails, texted links, and social media taggings (which, for the most part, are about as useful as the ones with spray paint) seeking my thoughts on this “revolutionary” concept. To be fair, that descriptor was a magazine click-bait addition; the authors of the proposal refer to it as “radical and novel”. And indeed, they’re right — as long as your view of history doesn’t go back any more than 70 years. This is particularly ironic, because the proposal spends a considerable amount of time discussing early ideas for race-track style runways. What is left unsaid is that none of them came to fruition. Perhaps there’s a reason for that. The world’s first runways, while admittedly not “endless”, were circular. The control authority and horsepower of early aircraft was quite limited, so they needed to takeoff and land directly into the wind. Land was plentiful and cheap, so the first airports were nothing more than open fields of flat land, usually with a windsock directly in the center. Pilots would overfly the field, look at the sock in order to determine the wind direction, and then land directly into it. This is also why airports, even to this day, are sometimes referred to as ‘fields’. The open field/circular runway went away for many reasons, not the least of which was the increasing landing distances needed by the larger, faster airplanes. The open field concept persisted through World War II. By that time, most fixed-wing aircraft were capable of handling significant crosswinds, but other air vehicles such as blimps, were still sensitive to wind conditions and could not countenance a crosswind. 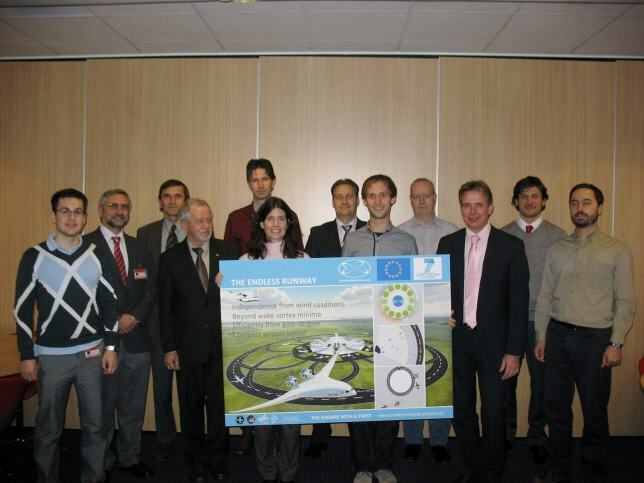 Proponents of the circular runway claim it will revolutionize air travel. I’ve read all the documents in their proposal, and although they don’t seem to include biographical information on the contributors, it seems that whoever came up with this scheme clearly does not fly and certainly doesn’t understand how aircraft, air traffic, and airports really work. If they did, they’d know the drawbacks of such a layout far exceed the benefits. Speaking of which, let’s look at those. Winds in most places are not random. There is a prevailing wind direction, and airports are only built after extensive meteorological studies to determine the predominant patterns. For example, here in Southern California, most runways are oriented toward the beach since we are blessed with an almost perpetual on-shore breeze. Airports in other parts of the country (the Midwest comes to mind) do have a wider variety of wind conditions, but those are accounted for by the airport layout — typically a triangular shaped series of three intersecting runways. This solves the crosswind issue sufficiently. The proof is in the last half century of flying. The YouTube videos you’ll see of airliners landing in gale force crosswinds are click bait. Nothing more. Crosswind landings would be more difficult on an Endless Runway, owing to the constantly changing heading. Most crosswinds are from a steady direction. A round runway surface only ensures that the direction and velocity would be in constant flux throughout every single takeoff and landing. And the banked runway surface only ensures that a wind-whipping obstacle is always right next to the airplane. Does that sound safer to you? A circular runway means you can’t expand the airport. The circle literally traps the infrastructure inside. If you want to see an example of that, look at LAX. Better yet, try to drop someone off at the airport at any time of the day or night and you’ll see what a nightmare it can become. If the takeoff and landing direction was constantly changing, traffic conflicts would not be reduced. They’d be magnified. Especially when the wind might change at one airport but not at another. Traffic patterns at closely-spaced metropolitan airports are carefully designed to avoid conflicts. The Endless Runway would complicate them beyond my ability to even describe it. Instrument approach procedures, which are already complex enough, would be infinitely more so, and localizer-based systems like ILS and LDA would be made almost useless since they are straight-line, single beam projections. Arrival and departure procedure issues would be myriad. Let’s just consider IMC conditions and the need to ensure arrival and departure paths are clear of obstacles. If airplanes are arriving and departing from 360 different headings, then you’d have to eliminate all obstacles in every direction. Keep in mind these obstruction-free zones assume the loss of an engine just after V1, meaning the airplane is not going to climb very well. You’d be unable to put an airport near any population center. Or you’d have to remove all towers, buildings, and structures of any height for miles around in every direction. There’s an old saying: the devil you know beats the devil you don’t. If you deal with aircraft noise — and let’s face it, many of us do — it’s going to be a lot easier to live with when it’s predictable. Now consider launching and recovering three airplanes all at the same time from varying directions. The noise would be scattered all over the place. Instead of a narrow corridor of sound which exists mainly under the departure path of a straight runway oriented in a single direction, you’d expand that footprint dramatically. Right now, most large airports are equipped with multiple runways. 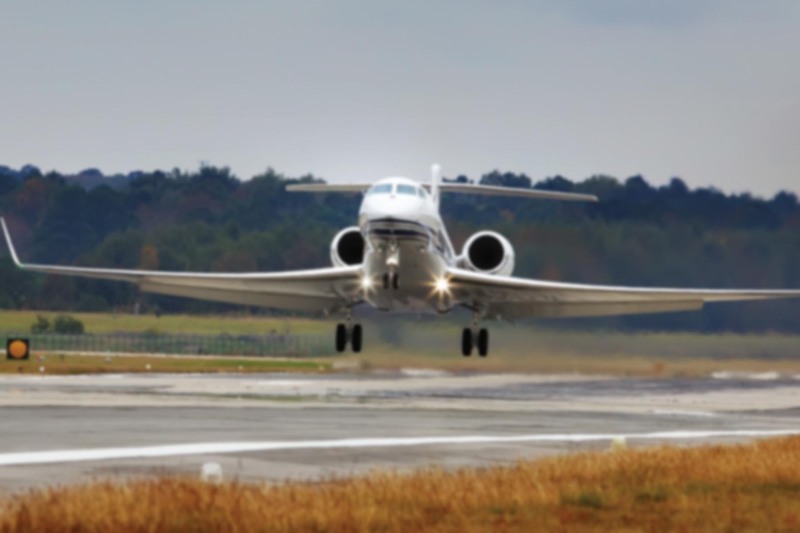 If one runway needs to be closed for maintenance, due to fouling, a disabled aircraft, or other reason, you have the remaining runways available. If you embrace the Endless Runway, any of these events would shut down the entire landing surface and close the airport completely. From every perceivable angle, the Endless Runway is a half-baked idea conceived by a team which lacks the practical understanding of aviation infrastructure you’d find in any student pilot. I’m sure it looks good on paper, but in the real world their solutions don’t hold water, no matter how many equations they write. They’d have been better served by studying existing airports and runways to determine why they’re built the way they are. Believe it or not, there’s a reason behind it, and from where I sit the system works remarkably well. There is one truly critical issue they’re trying to solve: a dearth of capacity. It’s undeniable that our ground-based aviation infrastructure (aka airports) is overcrowded. But changing the shape of the landing surface won’t fix that. The only answer is to build more airports and runways. I agree completely it is nuts this idea and a compete waste of money. I see he tried to defend his ideas on the BBC and failed miserably. I heard something about the author of the study doubling down against the criticism, but I didn’t see the details. I’ll have to check that out. I think this idea is what comes of the disconnect between academia and reality. Sometimes the two are well connected. Sadly, in this case that doesn’t seem to hold true. Good on you for giving up a part of your life to so throughly refute this silly idea. I’m afraid you may not get the time back. As you’ve identified, the fundamental flaw is in approaching ground-based infrastructure as a ground-based problem, when it’s plainly not. Taking off and landing is still flying, just very close to the ground. But of course the clincher is the land area that would be needed. Long skinny airports can be shoehorned into some fairly close spaces (whether limited by terrain or competing land uses) and extended into the sea quite economically. Round airports would need their own zip codes. And the great irony of that is the Netherlands itself doesn’t have the spare land to build even one of these Schrankschanden. I hadn’t even thought about the engine nacelle issue (keen eye on the artwork, by the way! ), but you’re absolutely correct. I believe the 737s land in a crab for that very reason. The landing gear is designed to handle it, of course, but it does highlight the incredible challenge it would entail trying to keep the wings perfectly parallel to the runway while turning and flaring. It’s exactly like formation flying, except in the air if you don’t match the bank angle perfectly you just screw up your photo shoot (been there/done that) rather than dragging a multi-million dollar engine along the ground. All your reasons point to why linear runways have existed for so many years. I think it would be very hard to take-off on a circular runway anyway . . .
As you mentioned, these people obviously do not fly. Think of the sideways G loading as well! Imagine slippery conditions. I’m thinking these people should run for congress. Great line-item refutation of this—yes—”half-baked” idea! A classic example of something “looking good on paper” but utterly useless in reality. When reading of this idea, a dozen reasons this won’t work instantly come to mind in anyone who has so much as a solo license. The old saying, “Don’t fix what ain’t broke” comes to mind. Thanks for putting down what we have all been thinking! Exactly. While I appreciate what they’re trying to do — make the system more efficient — it’s amazing that they’ve missed the forest for the trees, as they say. I had a feeling more than one aviator out there was rolling their eyes at this proposal! 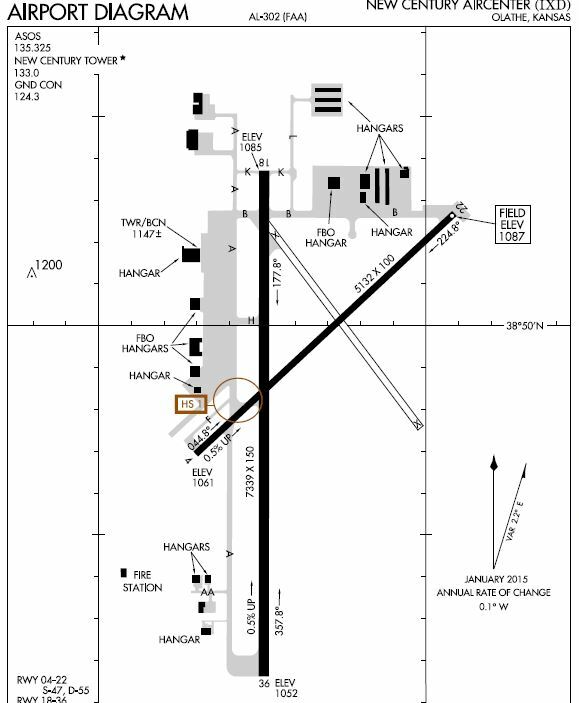 Very good analysis of the round runway. I have seen a short video on fb about it and it looks more dangerous. The bank angle and the turn radius can’t possibly match for all types of aircrafts. The best solution for cross winds would be to reorient the whole runway to the wind. Exactly! They say they did military tests. I think the tests showed it would not work. But in the same vein, hexagonal runway(s) criscrossing would offer more orientations and would be similar to the circular proposed, except with straight landings. This could work for some airports with lots of wind coming from many directions. I filed this crazy idea under the “they’re trying to make a name for themselves” category. Five minutes of fame and nothing more. Admittedly, I’d like to see the faces of the passengers in an airliner as they went around a circular runway for takeoff. Folks would be sliding in their seats and spilling their drinks. Yes, in addition to everything else, the aircraft would have to overcome the acceleration of traveling around the circular banked runway. I don’t know much about the National Aerospace Laboratory, but it’ll be interesting to see what — if anything — they come up with next. Great article Ron, very well presented. It takes little thinking to realize that it is not compatible. It would be really nice if it were so easy. 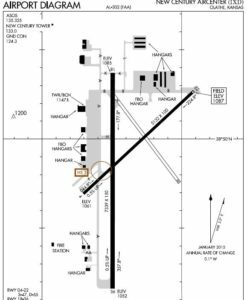 Can anybody imagine a gigantic circle at FWD or ORD replacing the 15 runways and taxiways? Thank you very much for this article you wrote .. everything I wonder about is quite clear. Ron, Bravo for giving this idea so much attention! Not sure how much it deserves. I’ve seen the You Tube Videos, the Documentary that managed to be aired on TV, and even the magazine. In your Cons section, while extensive, there is probably list of 2x as long as all the things we haven’t thought of or covered in the comments section. Not very well thought out…is it? You’re right, actually. I didn’t even have to work that hard to come up with this list of “cons”. If I’d really put my back into it, the list could easily have been two or three times as long. Mocking this idea is like shooting fish in a barrel.